The professional Real Estate Team at Preferred Realty of Florida Have years of experience helping their buyers and sellers through the complex process in this ever-changing market. Our Broker Richard Shuman has been in the business since 2004 and closed Millions of Dollars of transactions from Traditional Sales, Purchases, New Construction, Short Sales, Foreclosures and more. The only B.S. Richard has is from The University of Massachusetts! Why take a chance on what could be the most important financial decision of your life. Let the team at Preferred Realty of Florida help you make this a “Stress-Free” transaction. A "STRESS-FREE" Move Across Town or Across the Country! I love to work with clients relocating from outside of Florida. Relocating my family from Massachusetts was such an great experience for my entire family, I love to help make everyone elses relocation as smooth and stress free! I work with all levels of clients that are serious about buying or selling a home. 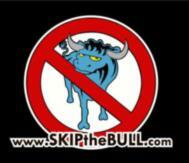 From First-Time buyers that need help with their downpayment and closing costs to executives that want the job done without the "BULL"
www.SKIPtheBULL.com for Real Estate & Mortgage Solutions without the "BULL."